Drinking Coke is something I don’t and WON’t do. Not now and not ever! It has nothing to do with their new Superbowl commercial. Drinking soda is a topic I have covered in an earlier post and will most certainly discuss again later. 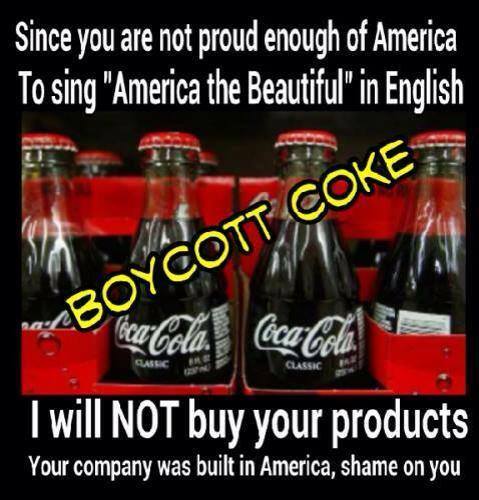 Today, I want to discuss the “Boycott Coke” signs I’ve seen floating around on social media. Today, our country is divided, nearly equally, on politics, equality, and immigration. Each side believing they are the correct side and that the other side is just plain wrong. As horribly divided as our country was 50-70 years ago, I’m not sure we have improved much. So why would Coke take such a hotly charged topic and bring it to America in such a compelling “in-your-face” style? Certainly they knew there would be those who would smile and beam with pride at how dynamic the commercial was and how beautiful our patriotic song sounded in so many different languages. Certainly they also knew there would be those who would stare at the TV, jaw hanging open in stunned amazement that our beautiful patriotic song was butchered because it wasn’t in English. Yes, ladies and gentlemen, I have heard both sides of this debate and it isn’t pretty. Years ago, Coca-Cola made a huge hit when they released the commercial I have attached to the blog post. Anyone over 50 most certainly can sing every word of the song, “I’d Like to Teach the World to Sing”. We loved the song regardless if we like Coke. The commercial showed the diversity of nationalities which make us America! And, yes, it was all harmonized in English. Every time I think of how I want the world to really be – I hear that song and smile. I would love to see every human look at another and realize that skin color or country of origin doesn’t matter. I’d love for every one of us to reach out to another and offer peace and compassion. Ahhh… just imagine…. As I re-visit their most recent commercial and compare it to the 1971 version posted above… I am struck by several points. The images in the 2014 commercial are absolutely beautiful. Turn the volume down and just look at the images. You smile. The images are what America is all about. Happy people. People helping people. Our countryside. Our people! It’s beautiful. I watched the video of the new commercial with the song from the 1971 version and I had tears of happy! Regardless of your like or dislike of the commercial itself, I will certainly give credit to the marketing team at Coca-Cola for stepping out of the politically correct comfort zone and offering up an attempt to bring America together – just as they did in 1971. But mostly, I wonder…. how would the commercial have been received if the song was done in English – with accents and all? Would it have made a difference? What do you think about the commercial and the message Coke was sending? WHATS SO WRONG WITH SODA POP? We all know there is nothing healthy about drinking soda pop. The “regular” soda has high amounts of sugar which has been proven over and over again to be extremely taxing on the human body. From internal and vascular inflammation to insulin resistance – just the alarming amount of sugar is enough to say STOP! 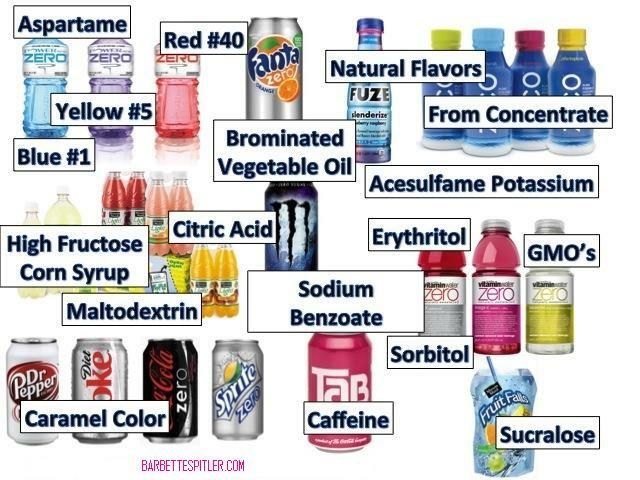 But when you think about the ingredients – most of which we cannot pronounce let alone identify what chemical it is – that’s when we realize that soda is full of stuff and none of it is natural or healthy!. Diet soda is even worse. YES, even worse than the sugared stuff. The body believes the sweetness is caused by sugar thus it responds by releasing insulin. But guess what?? NO sugar. So what happens to all the insulin? The body has to figure out what to do with it. And that’s a damaging task. In the mean time, there is an artificial sweetener running through the blood stream and now the liver has to figure out what to do with that! How much toxic chemicals (called soda pop) do we have to consume before we realize the body is not designed to digest or assimilate it? How do we expect our body to rise up to the challenges of all we want/need to do when we fuel it with chemicals the body can’t utilize but must also find a way to cleanse those same chemicals out. And when will we stop serving soda to our children? Schools districts who have removed the soda from their vending machines and filled them with water instead, found the students and staff had more consistent energy levels, more focus and less disciplinary issues. Hummm…. Still want to drink that soda?